What do you get when you combine an Energy Sword and a Brute Shot? You get this wicked thing. 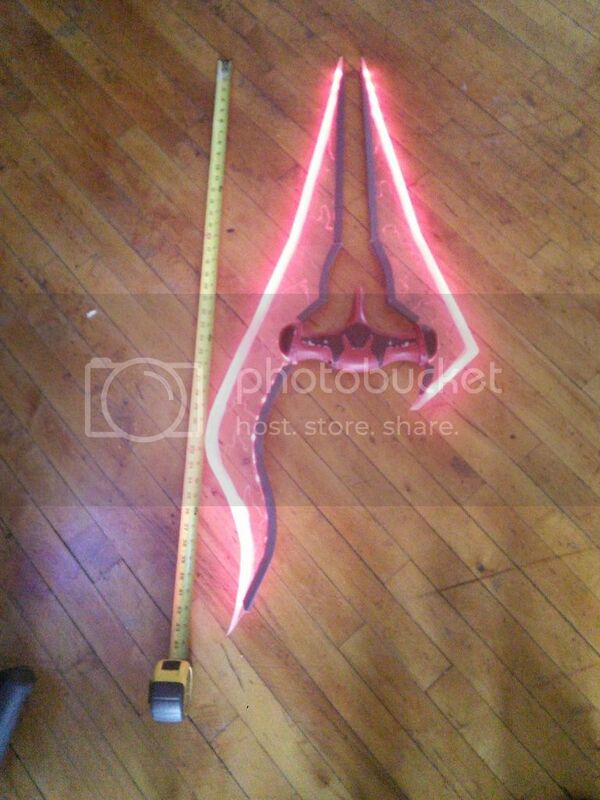 Took my Energy sword concept and added an alternate second blade with a brute shot extension. how much would you sell for a cast? The raw Hilts I sell for $25 both halves plus shipping. Additional $5 for the support bar/4AA battery holder. how much for a complete sword? not one of these just a normal one? Thank you for your interest. 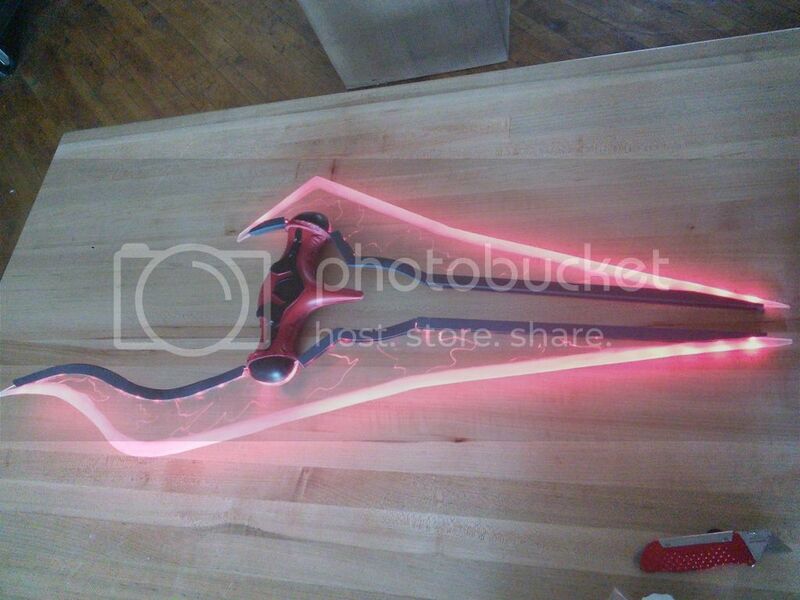 I make these swords for $300 plus shipping, Extra $50 for added startup sound. 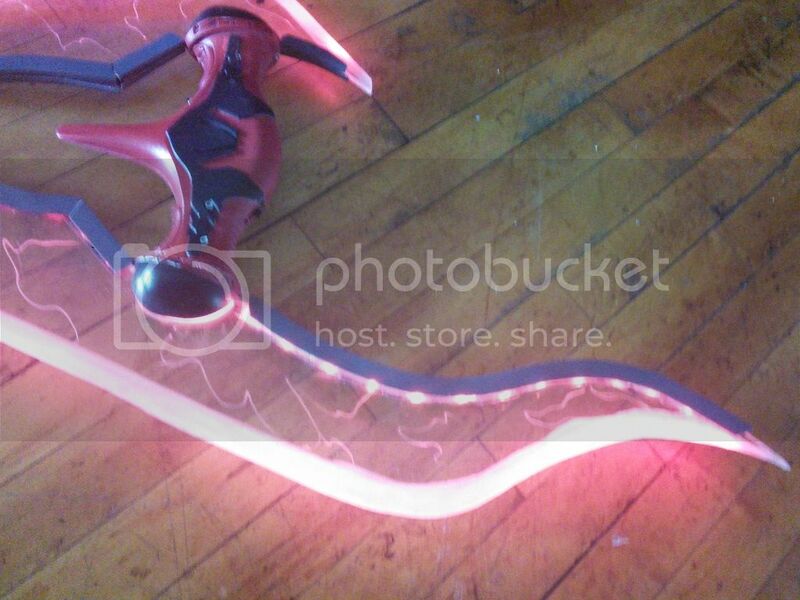 Included is the light up on/off blade effect, pulsing led effect, and red/blue color change. This looks awesome! Keep up the great work its cool to see a mixture of two weapons into one awesome one that even changes colors! Love the design and concept. I think 343 would also. you should make a gravity hammer with one side of a energy sword on the back instead of the normal metal blade. behind the hammer head. What sort of battery life could one expect from an assembled kit? That looks amazing, great idea with the brute shot mix. Looks like some LEDs connected to a switch & batteries with a blade made out of lexan. 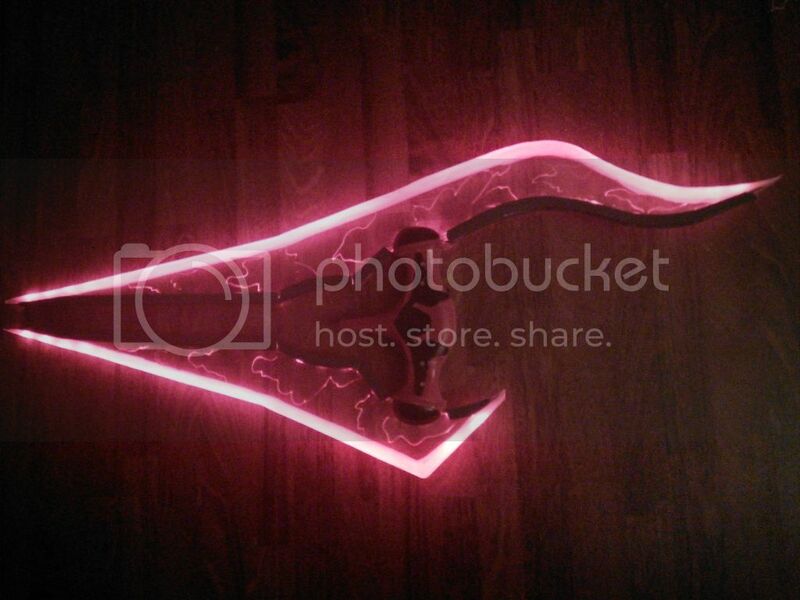 The glowing effect is achieved with the blade edges sanded and some scratches engraved to diffract the light. 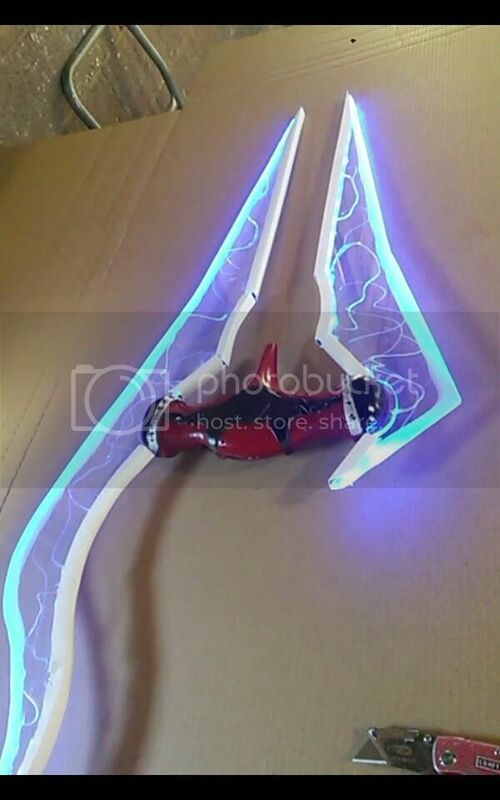 Ive been looking for a way to make an energy sword that achieves this effect. Lexan is definitely a good route to go! Will definitely use this thread for reference! ExCeLLuR8 , Rancid Musk the creator of this thread and the energy sword you are talking about, was last logged into the boards on Jun 7, 2016, and this thread itself is from 2015. As such, I don't think they will see your post here and respond to it. I would suggest perhaps doing a google search for "Rancid Props" and seeing if they are still active on another platform like Facebook or Etsy. Or, if I may, I would suggest seeking out Sean Bradley, Sean Bradley or by SeanBradleyStudio. He does occasional runs of Energy Swords and might be able to get you just a hilt if that is all you need. To be honest, for a sword you don't even really need a printer. My two day build was just some acrylic sheeting, steel, LED strips, an Arduino and a battery pack. The handle will be cleaned up later but it gets the point across. I'll be making a more elegant electronics cover (read as making an electronics cover) and I could put together a build guide pretty quick if you need a sword in the near future.